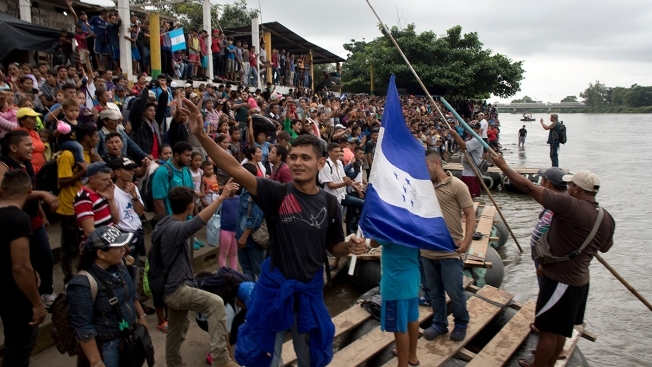 In this Thursday, Oct. 18, 2018, file photo, hundreds of Honduran migrants stand at the shore of the Suchiate river on the border between Guatemala and Mexico, in Tecun Uman, Guatemala. The Trump administration is drafting an executive action that would make it exceedingly difficult for Central American migrants seeking asylum at the U.S.-Mexico border to gain entry, three sources familiar with the proposed measures told NBC News. The exact details have not yet been finalized, the sources said. The news comes as President Donald Trump and national security adviser John Bolton have grown increasingly frustrated with the rising number of undocumented immigrants crossing the southern border and the Honduran migrant caravan currently making its way to the U.S.
"The administration is considering a wide range of administrative, legal and legislative options to address the Democrat-created crisis of mass illegal immigration," a White House official said. "No decisions have been made at this time. Nor will we forecast to smugglers or caravans what precise strategies will be employed." 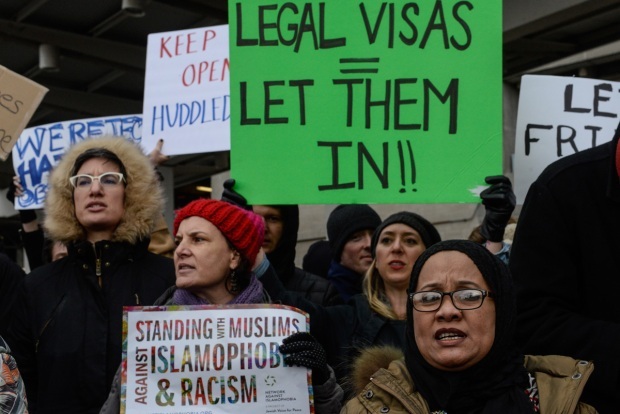 One piece of the action under consideration would use an authority similar to that invoked by the travel ban to block entry to unauthorized immigrants who are not yet in the U.S., said the three sources. However, if these immigrants cross the U.S.-Mexico border and claim asylum, they would have the ability to apply for asylum. Other, more extreme measures under consideration include not allowing immigrants who are apprehended between ports of entry to claim asylum, said the senior administration official.